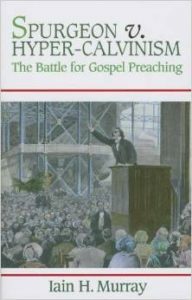 Murray, Iain H.. Spurgeon v. Hyper-Calvinism: The Battle for Gospel Preaching. Edinburgh: Banner of Truth, 2010. 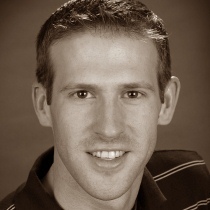 For those in gen X and Y, a world in which Calvinism is the dominant thread of Protestant Christianity is unthinkable. Yet in many places, and for much of recent history (think the last five centuries), this has been the reality. It was in this era that the young missionary was met with the stinging words: “Young man, sit down; when God pleases to convert the heathen, he will do it without your aid and mine.” Thankfully, the confirmed Calvinist father of mission, William Carey, pressed forward anyway. It was ten days after his death that another man was born. Charles Spurgeon was destined to be the prince of preachers and another avowed Calvinist. But while some might be surprised to find that Spurgeon spent his ministry preaching the doctrines of grace (as he liked to refer to the five points of Calvinism), others might be surprised to discover that he spent much effort battling the errors of hyper-Calvinism. The conviction of Charles Spurgeon was that the doctrines of grace are the driving force for the proclamation of the gospel of grace to every people, tribe, and tongue. Those who love theology, the gospel, and evangelism will benefit by considering this book.